The USB Connect device is a USB for Mazak solution. It acts as an interface between commercially available USB flash memory and any CNC control with an available RS232 port. 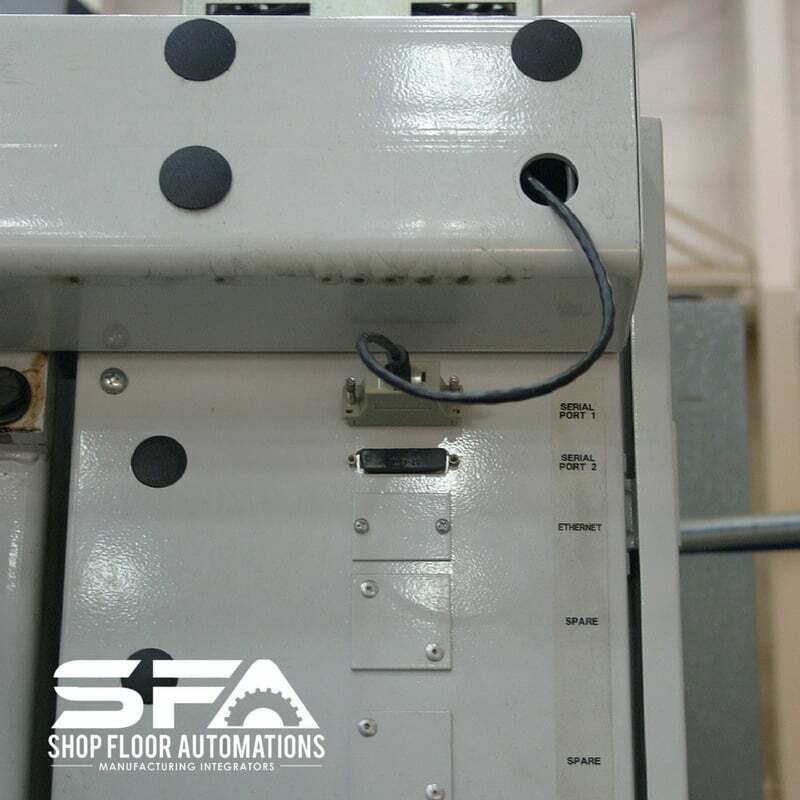 Machine tool files can be sent from CNC memory to the USB key, USB key to CNC memory or drip-fed (DNC) from the USB key. 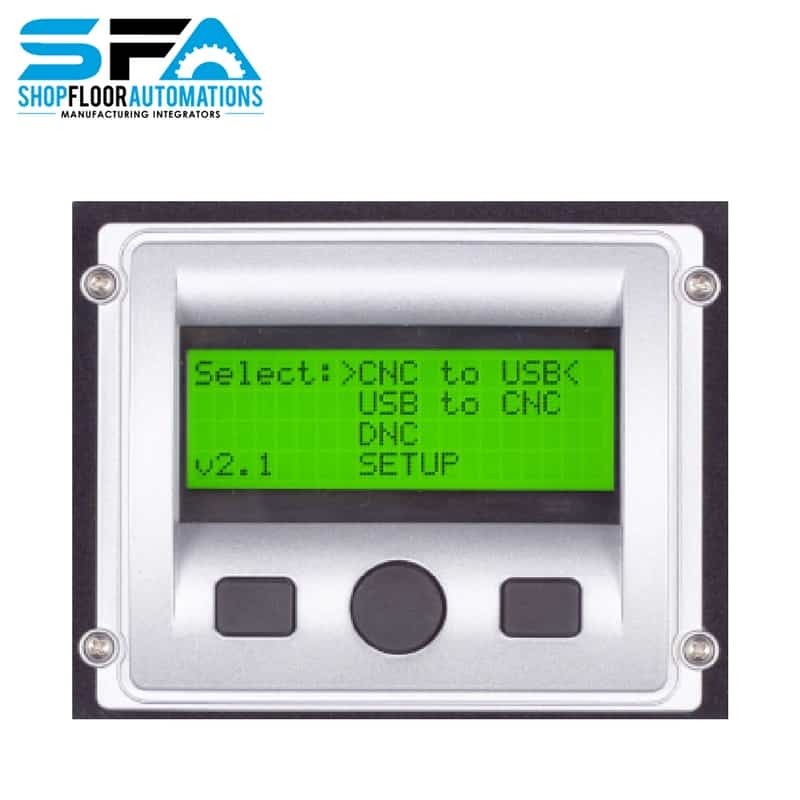 Flexible DNC firmware is built into the USB CONNECT unit allowing connection to just about any machine tool CNC control. The pendant mount USB controller kit contains all the necessary hardware to integrate a universal display onto a CNC machine tool pendant. 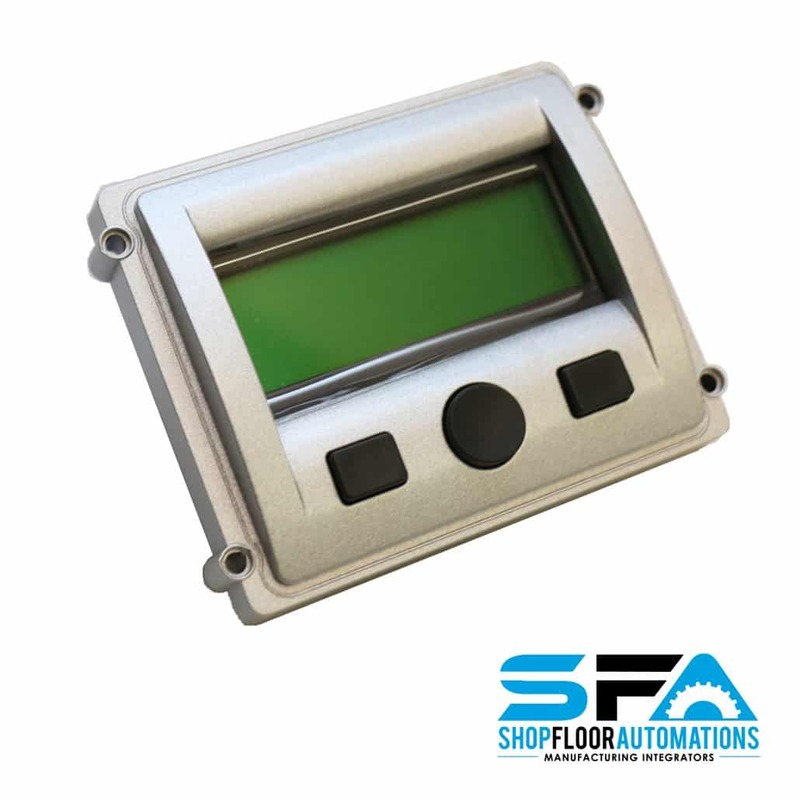 The controller is DIN rail mountable inside the pendant or can be reverse mounted on the display. The USB Connect integral DNC software eliminates having to place a computer with DNC software in a machine shop environment where it can get damaged. Many job shops try to avoid this and place their PC’s in a safer location. Doing so, however, increases the risk of communication errors and can force many operators to run at lower baud rates due to long cable runs. 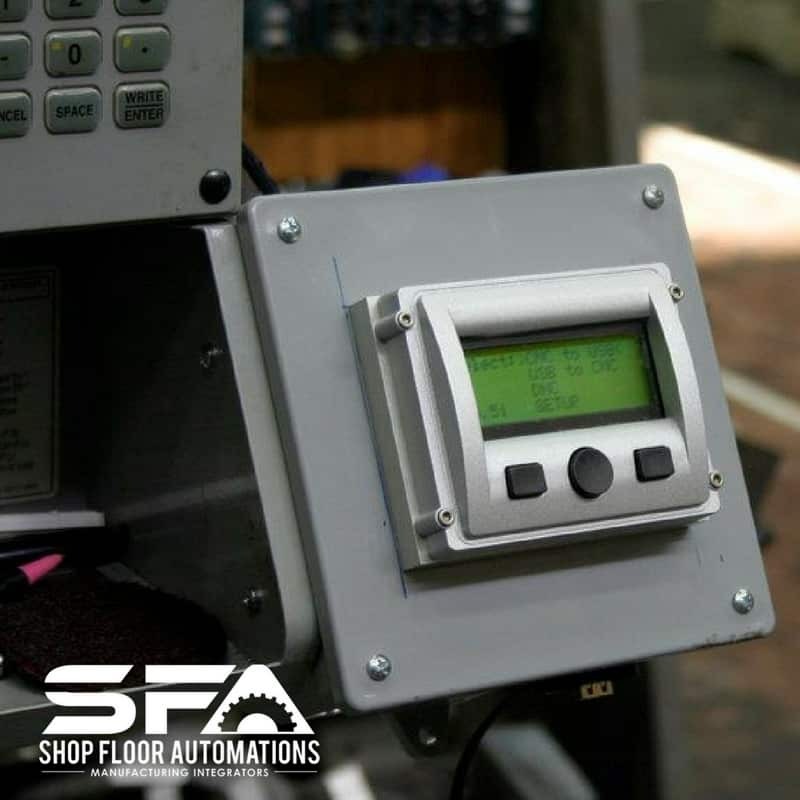 Positioning the USB Connect controller close to the control allows the machine to run at its maximum baud rate and eliminates an operator from having to run back and forth from PC to machine to begin machine operation. Increase program storage at the machine with this device. Drip-feed large files from your memory device or DNC. Fact: you do not need a CNC software or hardware update in order to use this device!